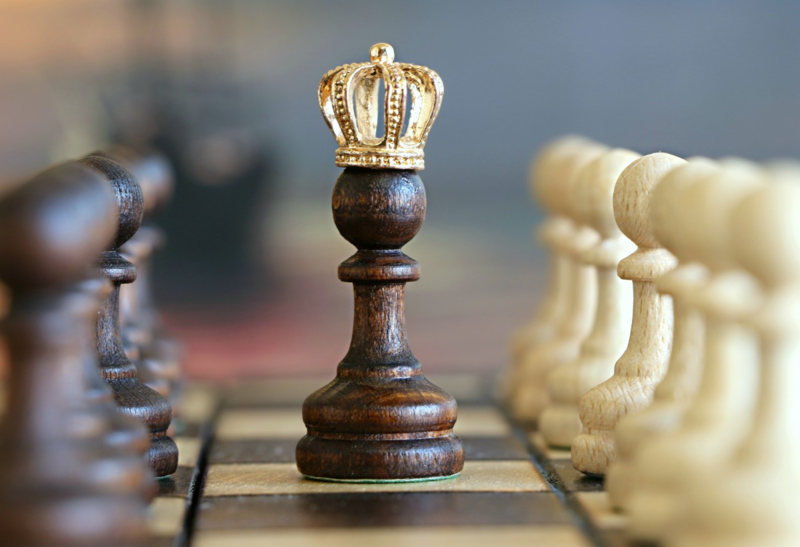 Guest blog by Kerrie-Anne Sommerfeld, training and assessment consultant, Rubric Training Solutions. The vocational education and training sector is struggling with assessment. ASQA finds that most providers are experiencing difficulties with doing assessment properly: less than 30% of registered training organisations (RTOs) audited over 2015 – 2016 are meeting the Standard for quality training and assessment (Standard 1) on the initial visit from ASQA. 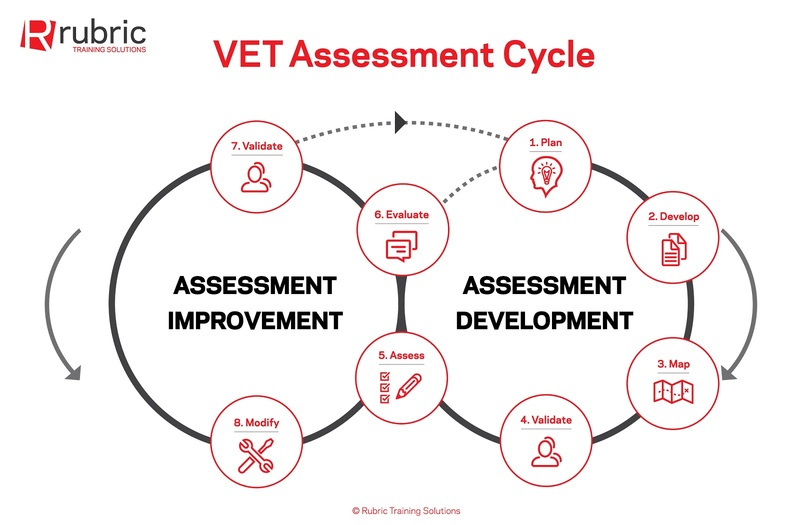 With this focus on upskilling the VET workforce in assessment design and development, I share my insights on how RTOs can set up their assessment system to help staff develop, implement and improve their assessments. It revolves around a framework I’ve developed to use in my work as a VET training and assessment consultant. It incorporates two cycles, The Assessment Development Cycle and Assessment Improvement Cycle. The VET Assessment Development Cycle consists of 6 stages. I encourage RTOs to consider how their assessment system (policies/procedures/templates/tools) supports their staff to consistently and properly meet each stage. You can use your RTO management system (e.g. aXcelerate) to set up and manage the assessment system by using functions such as the document library, workflow, calendar events, reminders, and version control. Let’s look at each stage in the assessment development cycle to see what your RTO can do. Taking the time to plan assessments is often overlooked and you know the saying; fail to plan and you plan to fail. If your RTO needs to develop assessments from scratch or significantly modify existing assessments, make sure you provide the time and tools to help your staff do this well. As a benchmark, it takes at least 1 week to plan, develop, and map assessments to a unit of competency. And it works best if that time is provided as a block rather than expecting staff to do it around their other duties. What does competent look like in the workplace? What methods can I use to gain evidence of that competence? Can technology help me get that evidence? Once you have planned, you're ready to develop your assessment tools: the actual assessment information, instructions, marking guides, and mapping documents used by students and assessors. They can be in hard copy, online, or both. My mantra here is that it should never be a mystery to students or assessors about what competent looks like. Assessment tools must have clear and detailed written instructions to students and assessors about what, where, when and how they will be assessed. They also must have a detailed marking guide such as model responses, observation checklists, and rubrics for projects. To ensure your RTO has a consistent format for assessments, have templates in place that guide your VET practitioners to include all the relevant information for students and assessors. Ideally, this means having two versions of assessments: one for assessors (with model answers and additional instructions to assessors about how to prepare for, conduct assessment and record outcomes) and one for students. Mapping is important for checking that your assessments cover the requirements of the unit and also that you are not over-assessing or assessing things not required. Again, your RTO should provide a mapping template for staff and ensure assessments for all units are cross-checked against the unit requirements using the template. Make sure the mapping documents are stored along with the assessments for each unit in a central place such as your RTO management system. The Standards for RTOs include rigorous requirements for validation. 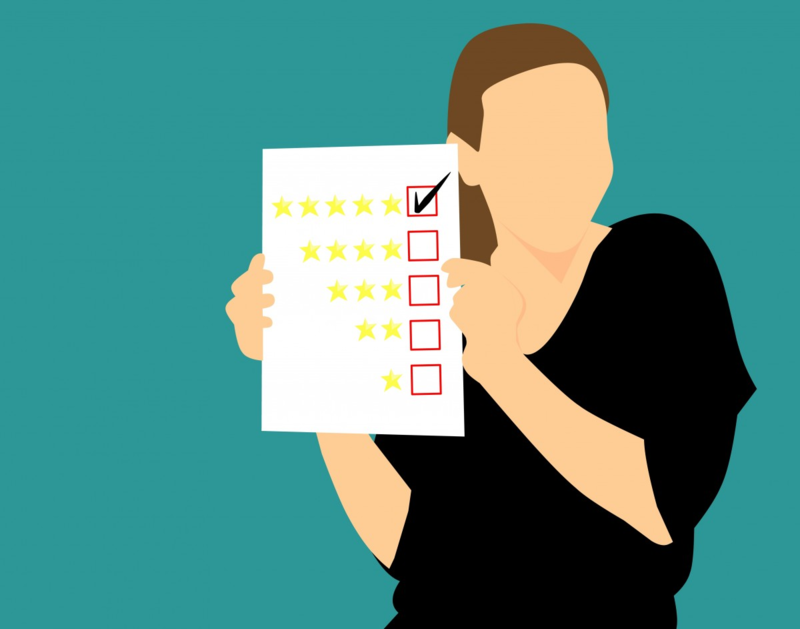 Previously, validation of assessments was defined as a quality review of the assessment tools to make sure they satisfy the principles of assessment – valid, reliable, flexible and fair. In the new Standards, validation is defined both as a quality review of the tools and a review of the assessment judgements made on a sample of completed assessments. RTOs should have an assessment validation policy and procedure in place that includes a schedule for what units will be validated, when they will be validated, and how they will be validated. Make sure you have a template to guide staff in what they need to look for when validating assessments and to record the outcomes. Validation can be scheduled and managed using your RTO Management System. See ASQA's Conducting Validation fact sheet. The key here is not just to validate assessments but to ensure that any issues or improvements are actioned. This is the stage where you should reap the rewards of taking the time to develop good assessments. Students will be clear about what is expected of them, they will better engage with the assessment because they can see how it relates to the world of work, and student outcomes will be maximised. Again, this is where your RTO management system can help, use it for recording assessment outcomes and storing completed assessments (e.g. marking guides, photos, electronic files, video). 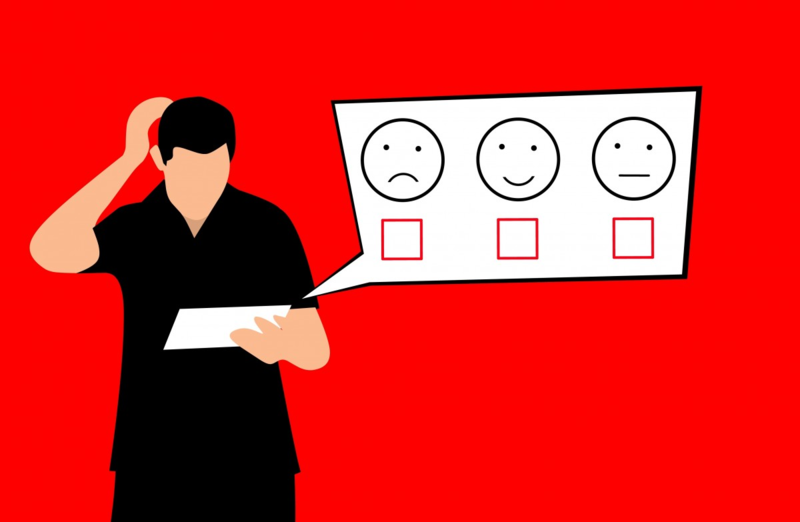 After you’ve implemented your assessments, get feedback from students about the assessment – via survey, focus groups, or simply asking them if they found it clear, relevant, and provided them with feedback that helped them understand why they got the judgement they did. Nailing your assessments using this 6-stage approach does require time, support and commitment. But once you have proper assessments in place, the benefits are numerous. RTOs can be confident that their assessments meet the required standards and are relevant to the industry. This saves time, angst, and negative energy scrambling to bring assessments up to scratch just ahead of audit time, or worse—failing audit. Assessors will feel more confident in the assessment decisions they make and save time when it comes to assessing students as well as in dealing with student questions and complaints. And most importantly, students will clearly understand what is expected of them, maximising their chance of success. If your RTO doesn't have templates in place for assessment development, mapping, or validation, then have a look at ones Rubric has developed for RTOs to licence. Contact Kerrie-Anne if your RTO is looking for help in improving their assessment systems, skills, and knowledge about good assessment in VET. ‍Editor's Note: This article was originally published in 2016 and has been updated for accuracy and comprehensiveness.